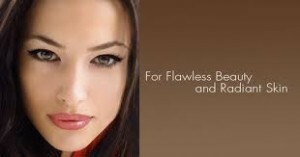 Columbia Md Hair Salon, Vivid Salon & Spa now offers Sormé Makeup | Best Salon and Spa in Columbia MD! Sormé is the Egyptian name for the natural black ‘Kohl’ substance used by queens and princesses to enhance their eyes; ‘the mirror of the soul.’ Dating back to the 4th millennium, it was Cleopatra who made this intensely pigmented black powder a sensation with her exotic eye makeup, ‘Kohl’ is still used today to create the mysterious allure that is truly timeless. Superb makeup must be both glamorous and beneficial to your skin- the living canvas for every color. For over 20 years, Sormé has teamed with professional makeup artists and the finest formulators around the world to bring you an exceptional blend of traditional beauty wisdom and advanced anti-aging technology in every product. Active plant botanicals, natural minerals, healing vitamins and clinically proven, age-reversing peptides help protect and improve your skin as rich color pigments enhance your natural beauty. Sormé is the hottest makeup out there! Eye shadow, Lip liners to get that fresh Look! Sormé is easy to apply! To Schedule Your Makeup Appointment ! ← Coppola Keratin Treatment Columbia, Md.